Honestly, it's my first time to hear about Girl Scout Badge Fair. I was not an active Girl Scout before. I only joined one camping activity when I was in high school. 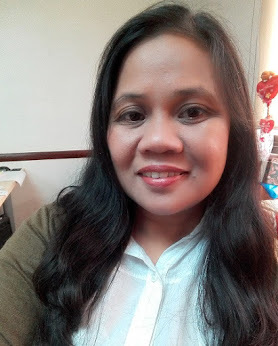 It was indeed fun and exciting learning experience. 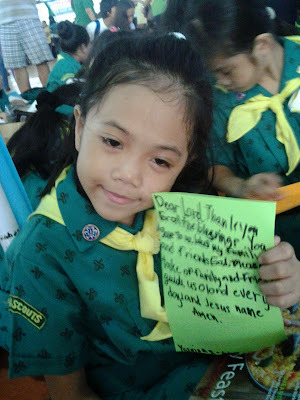 So when Thea's school sent a letter of invitation for the said activity, I didn't hesitate to allow her to join. She missed the Star Scout camping last year because she had a sprained elbow and her little brother was sick. 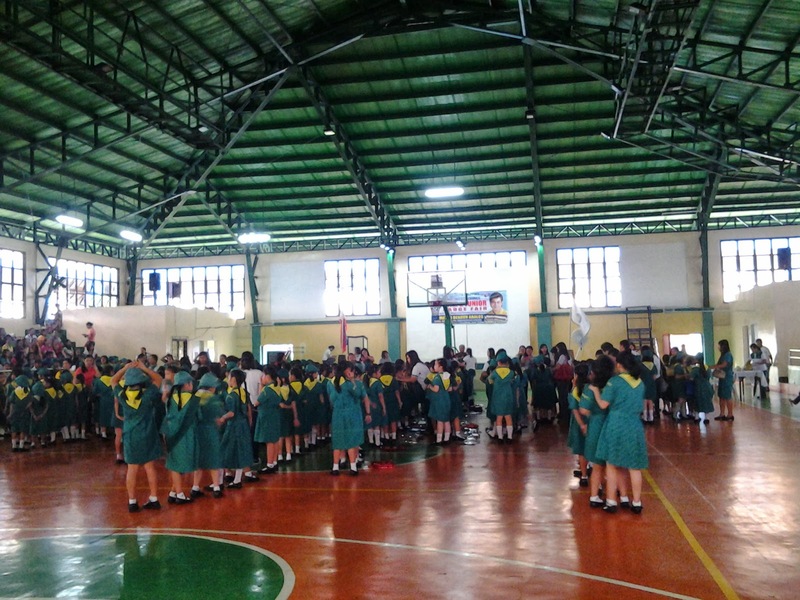 The Badge Fair held in Mandaluyong Elementary School Gym was participated by various public and private elementary schools in Mandaluyong City. Each school sent at least 20 Girl Scouts. 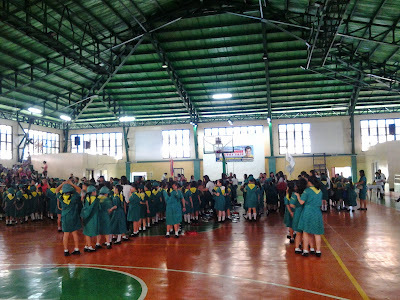 Maranatha Christian Academy had 25 delegates. That's one of her outputs in the "Challenge of Family Life" wherein each Star Scout were asked to write their own prayer to praise and thank God for all the blessings recieved by her family. Other challenges include the knot-tying, folk dance, arts, orientation about Wordwide Association of Girl Guides and Girl Scouts (WAGGGS), and designing types of clothes for different occasions. All participants who successfully completed the 7 challenges will receive the corresponding 7 badges. We will buy a badge sash and sew her badges there. 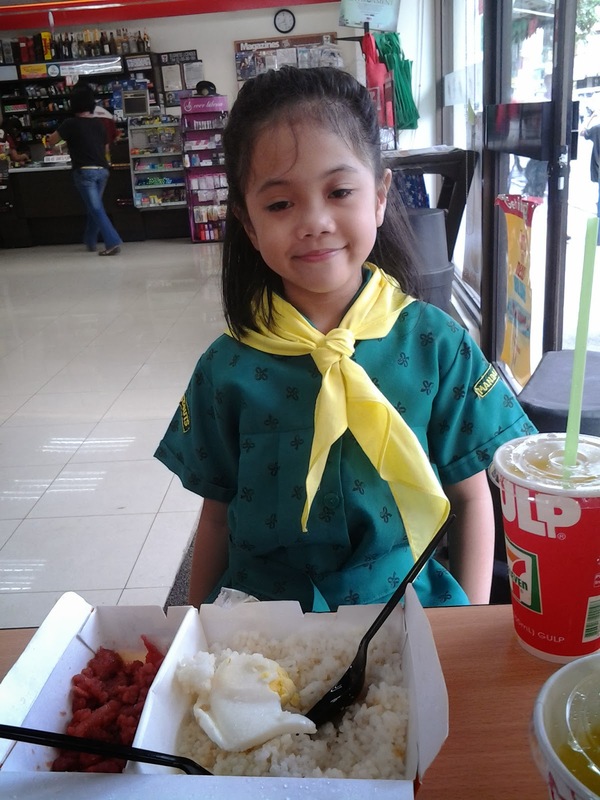 Joining the Girl Scout is only one of the many activities that Thea wants to engage in. My husband and I will always be here to support all her school co-curricular activities. 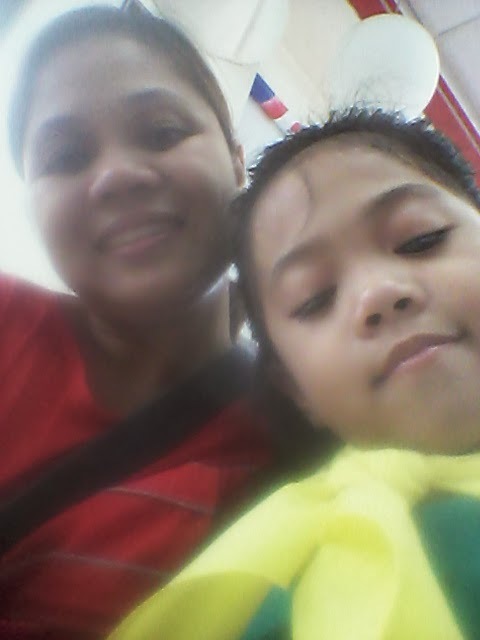 Congrats, my baby girl for a job well done! As a reward, we had our lunch at 7-11 after the activity. Yeah. 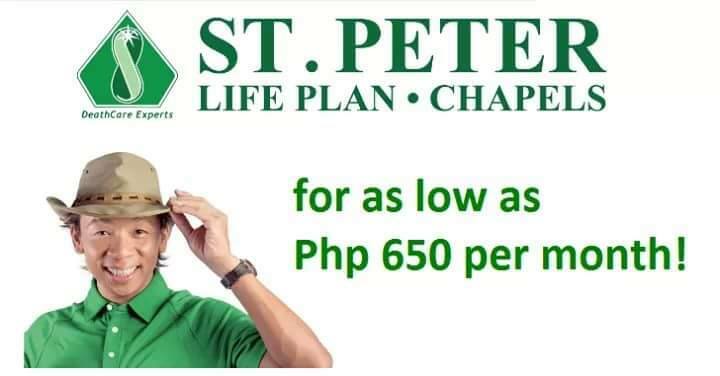 since September is Scouting Month, they will have this so-called GSP Investiture on Friday.